Joyce is a 24 year old lady who did all the right things during her labour, got her regular antenatal checks and then went to a hospital for her delivery. However, she stayed in labour at the hospital far too long and eventually was taken for a caesarean section. The baby was slow to recover but eventually revived, but Joyce was not. 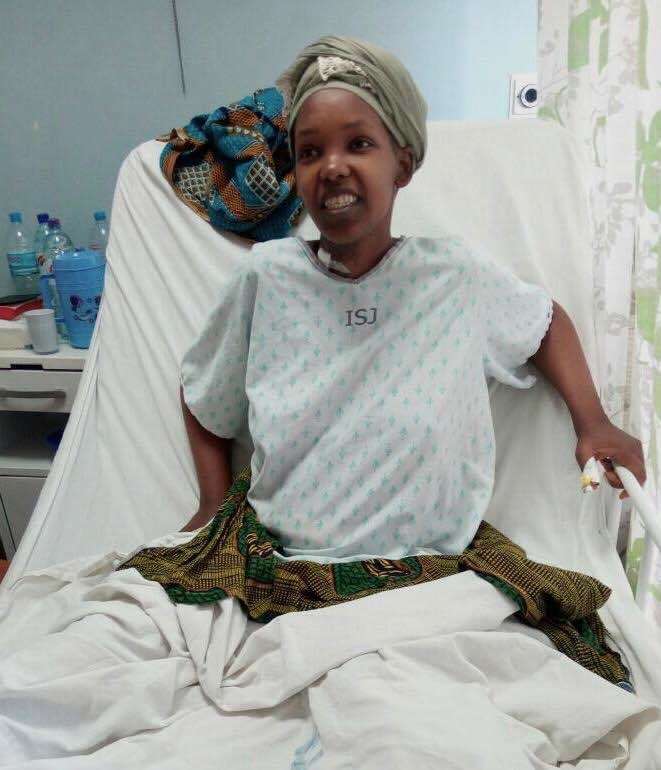 Five days after her operation she was found in the hospital by a midwife friend of Maternity Africa – she was severely ill, unresponsive, huge swollen abdomen, pale, with low blood pressure and high heart rate. The midwife got her discharged from that hospital and she brought her to Maternity Africa. She was operated on immediately by MA staff and was found to have a life threatening condition called necrotising fasciitis. All the lining of her abdomen had died, the strong tissue of her abdominal wall had died and 6 litres of thick black putrid fluid was drained. We operated and removed all the dead tissue and remarkably, she recovered, slowly. Her baby however got worse and had to be sent to a neonatal intensive care unit for antibiotics and specialist care. How wonderful! Thank you for the lengths you go to to save lives and to God for answering Prayers. May Joyce continue to experience many blessings. In God everything is possible. We as health providers this is the case to learn that, any woman in labour is like closed book, any thing might happen. So the massage is any women in labour need closely observation, And also immediate action once there’s any dout. Thx Maternity Africa for good quick action you did to save life of Joyce and her baby. What l learn also is maternity Africa is there for safe.